Alcohol is a depressant. That means that an alcoholic beverage provides a nice, warm, mellow feeling because it depresses the central nervous system. Used judiciously as an occasional relaxation tool, alcohol is not problematic. The trouble occurs when we overuse alcohol consistently to help manage feelings of stress and anxiety. Among high-level professionals, this is a very common problem. The job often includes wining and dining clients or attending professional events that always seems to involve liquor. And then there is the winding down process that becomes part of the nightly routine to try to induce relaxation so it is possible to get some much needed sleep. The amount of alcohol used begins to incrementally inch up as the body develops a higher tolerance to its effects. 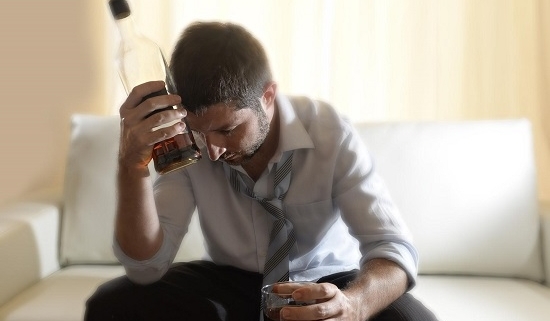 When self medicating with alcohol becomes habitual, it may possibly result in an alcohol use disorder. When alcoholism takes root, there becomes an insatiable need for the substance that wasn’t there before. One might wake up feeling wretched, hung over from the prior evening’s over-indulgence in an effort to chase sleep. Some might resort to the “hair of the dog” and drink alcohol in the morning just to be able to face the upcoming day with all its demands. In some cases, alcohol is hidden in their briefcase or office at work, kept there as a crutch to help them manage the stress overload that seems to mark each workday. Eventually, self medicating with alcohol becomes the source of a whole new problem…alcohol dependency. Breaking free of the grip of alcoholism is a difficult and lifelong endeavor. It is also the only hope of overcoming an addiction that could result in serious health conditions, loss of one’s job, divorce, or involve legal problems such as a DUI. The worse case scenario is, of course, loss of life itself. At some point alcohol abuse will catch up with anyone, regardless of their station in life. Alcoholism does not play favorites, so anyone, no matter what their education or social strata, is vulnerable to the disease. 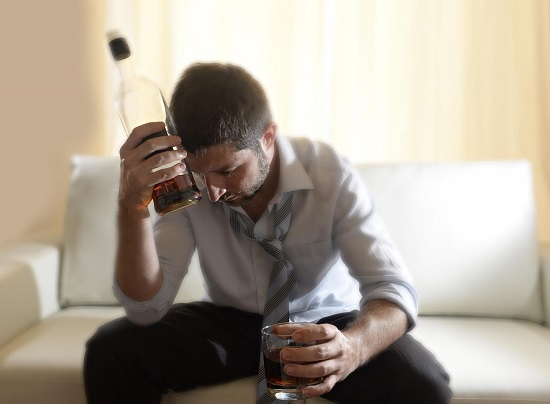 When the signs are there that an alcohol use disorder has developed it is critical to address the problem, as early in the disease as possible. As a busy executive or business owner it is difficult to break away from the litany of job demands that keep you tethered to the desk. For this reason, there are executive detox programs that are designed with this in mind. The object is to safely, not rapidly, guide the professional through the detox process so they can then address their treatment needs to address underlying issues and break addictive behaviors. Executive programs make certain accommodations for the unique needs of the professional in treatment, such as allowing them to have access to their electronic devices and providing an extra level of privacy. In addition, executive detox programs tend to be high end, providing the top of the line spa-like amenities and located in beautiful, serene settings. Can You Lose Your Job if You Go Into Detox or Rehab? Contrary to popular belief, one cannot be terminated due to a need for addiction treatment. There are discrimination laws at both the federal and state level to prohibit employers from taking punitive action towards employees in need of behavioral health treatment. Typically, the human resources department will provide a medical leave for the professional to go to detox and/or rehab. ways to overcome employment barriers to access treatment. Alcohol detox can be tricky. So much of what is experienced is determined by a number of factors, such as how long the person has been a heavy drinker, the age and general health of the person, and whether they also have a coexisting mental health issue, like depression or anxiety. Depending on those factors, alcohol withdrawal symptoms can range from mild discomfort to severe, even life threatening. During intake the clinician will be able to determine possible withdrawal complications and be prepared to adequately respond. During the detox timeline, the medical detox team will constantly provide the individual with medications and psychological support to usher them through the process with the least amount of discomfort. Once the detox and withdrawal period is completed, the individual will be given some options for entering the next leg of the recovery journey, or the active treatment phase. Depending on the individual’s scheduling limitations due to work obligations, they may opt for either an inpatient program, which is the preferred level of care for moderate to severe alcoholism, or outpatient treatment. An outpatient treatment program offers a weekly schedule of therapy sessions, classes, and recovery meetings that allows the flexibility needed to remain engaged on the job. However, an outpatient program is best suited for mild to moderate alcohol use disorders. Executive 7 Day Detox is an upscale executive alcohol detoxification program serving Orange County, California. This luxury detox program can guide the busy executive safely through the alcohol detox stage of recovery with the highest degree of comfort available. Our skilled detox specialists offer support and medical interventions that can help you successfully complete the detox process while helping you plan for the treatment phase that follows. Treatment can be provided in either an outpatient or inpatient program format, allowing for the right fit to accommodate the professional’s needs. For more information about this premier detox program designed for business owners and top tier executives who are self medicating with alcohol, please call Executive 7 Day Detox today at (800) 381-0827.